Kush Arora is a music producer and dj from the San Francisco Bay Area. His path of music started as a drummer in a variety of punk projects, and soon thereafter he started producing electronic music in 1997 around the East Bay. With 17 years of experience and a ten-record discography, Kush Arora has branded his own imprint on forward thinking cultural music. All shades of dub, african dance, industrial, dancehall, and Indo-Caribbean influences merge into his percussive and angular aesthetic. The last few years of collaborations have been alongside the likes of Stereotyp, Jahdan Blakkamoore, Mega Banton and Dreadsquad , and he's done remixes for folks like Gyptian, Elephant Man, Cutty Ranks,Spoek Mathambo, Gappy Ranks,MC ZULU, Balkan Beat Box, and Nickodemus. Kush’s releases can be found on a diverse group of labels, including Record Label Records, Top Billin, UrbanWorld Records, Dutty Artz, J Dub and Subatomic Sound. 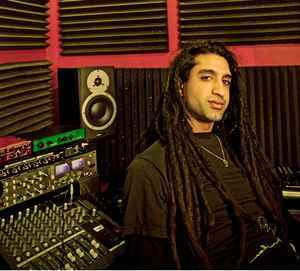 In 2005 he became a core member of the still active San Francisco collective and club night Surya Dub, alongside the likes of Maneesh The Twister. This evening included everything from early era dubstep , bhangra, dancehall, tropical bass sounds, and cutting edge electronics. Guests included the likes of The Bug, Flying Lotus, 2562, The Gas Lamp Killer, and countless others. in 2007 they were awarded Best Club Night by SF Weekly, and 2008 by the SF Guardian. In 2013 he produced baile funk/carioca vocalist Zuzuka Poderosa's debut EP Carioca Bass which was a venture in a Carioca and Baile Funk that took him on the road alongside her playing around the US and Canada. It also granted him his first music video (see youtube.com) with the energetic Poderosa. Recent remixes in 2014 include Gappy Ranks, an azonto dancehall record with Blackout Ja (London) and Pops Jabu (Zimbabwe), and upcoming releases with Deejay Theory.